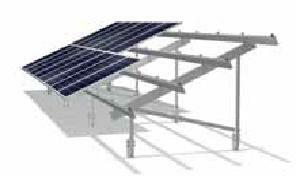 Solar PV Panel mounting systems suitable for a wide range of ground mounting conditions. Sigma I Open Ground mounting systems are designed for the cost effective installation of free standing solar PV systems with the minimum amount of ground preparation work, (gradients of up to ±10° can be accomodated). Solar panels can be mounted in portrait and landscape, framed solar panels and laminates. 10 year guarantee. 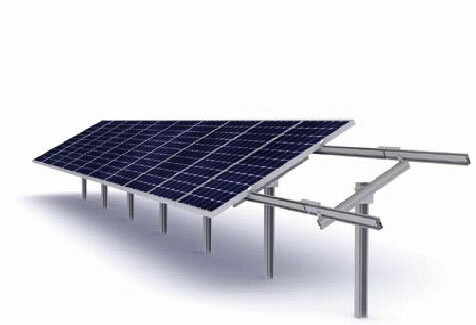 The Sigma II is a dual post mounting system for building larger solar PV panel tables. Options include multiple rows of panels in portrait or landscape, a good selection of mounting feet options including steel posts, ground screws and base plates for securing into concrete. 10 year guarantee. For Stength, Stability, Goods looks and in most cases without the need for planning permission .:..... Choose the EasyFix ground mounting system. 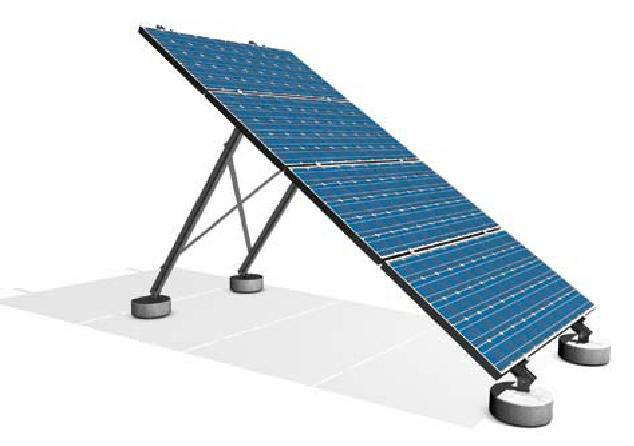 Although not technically a ground mounting system the Lambda FlatFix is regularly employed to mount solar panels at ground level. The Lambda FlatFix can be secured in any number of ways using concrete anchors, rivets, hanger bolts or roofing screws offering a flexible mounting solution, suitable for a wide range of mounting conditions.